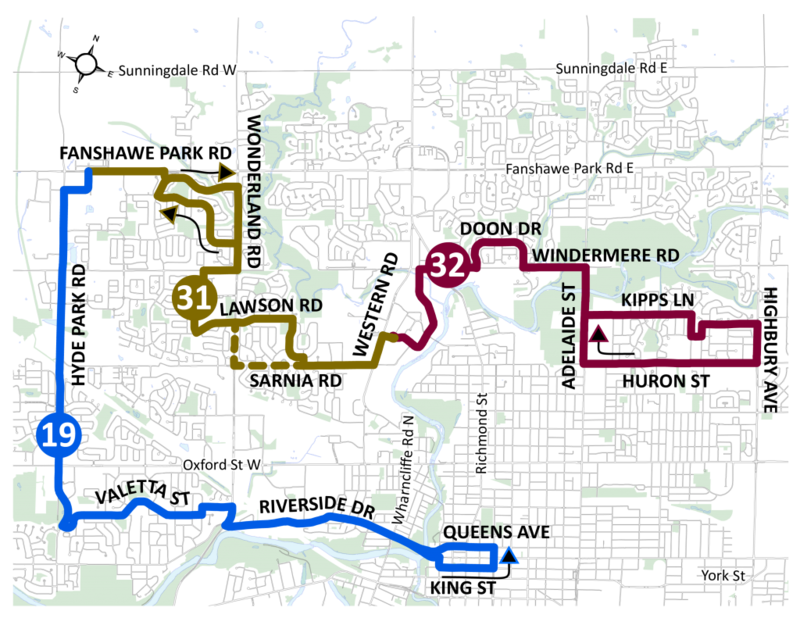 Concerns regarding the removal of Route 38/39 from the Masonville Terminal were raised by many passengers due to transferring. Unfortunately with the current space constraints at the terminal a route had to be removed. 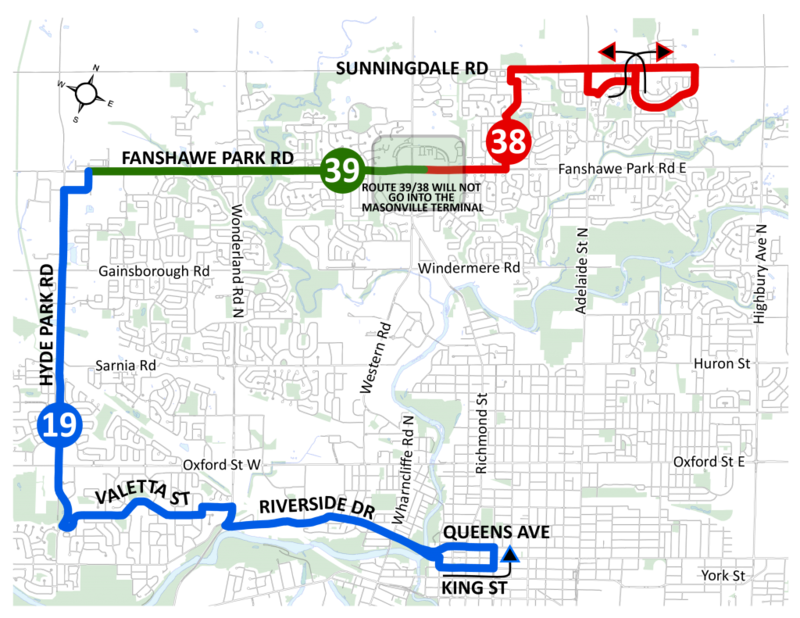 Route 38/39 was the only option as all other routes use this location as a turn around. In order to mitigate the impact on passengers, new stops are being located at the Fanshawe and Richmond intersection and additional time will be allocated in the new schedule to allow for the addtional travel distance (approximately 150 meters) to the terminal.